Barbara is a CERTIFIED FINANCIAL PLANNER™; Professional. She did her coursework with the College of Financial Planning located in Denver, Colorado. 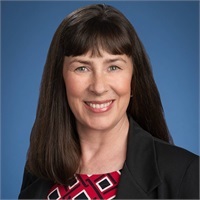 She is also a licensed Life and Health Insurance Agent, a Registered Representative with First Allied Securities Inc, and an Investment Advisory Representative with First Allied Advisory Services, Inc. She received her Bachelor of Arts degree from University of Washington Tacoma. She has further attained the Certified Wealth Strategist designation through her continued studies. Barbara came to the Centralia branch in 1997 and worked with her father for four years before he retired. She is proud to have had such a knowledgeable mentor and shares his passion for helping others make better financial decisions. Barbara is a past President of the Centralia Rotary Club.